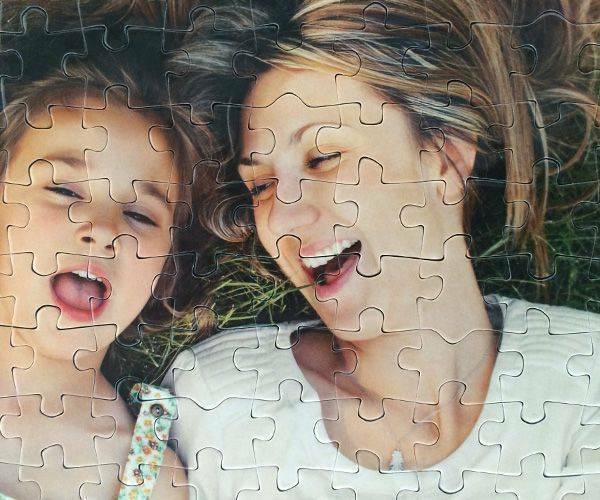 Upload your photo to create a 143 piece jigsaw puzzle 143 piece jigsaw is a great little personalised jigsaw. The puzzle pieces are small, and the jigsaw puzzle it self isn't big. 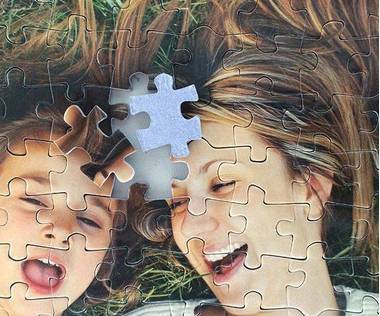 143 piece personalised puzzle is ideal for people who doesn't want to spend too much time solving the jigsaw, but still want to keep it challenging. You can personalise this jigsaw with any digital image, artwork, design or text. Often you look at photographs but don’t do a lot with them. They are put in a drawer and forgotten about until they may be put in an album or just left to fade. Now there is a way to bring them to life again and they will bring pleasure to lots of people. Measuring 19.7 cm x 22 cm a 143 piece personalised jigsaw will be great to do and also bring back lots of memories when it is completed. 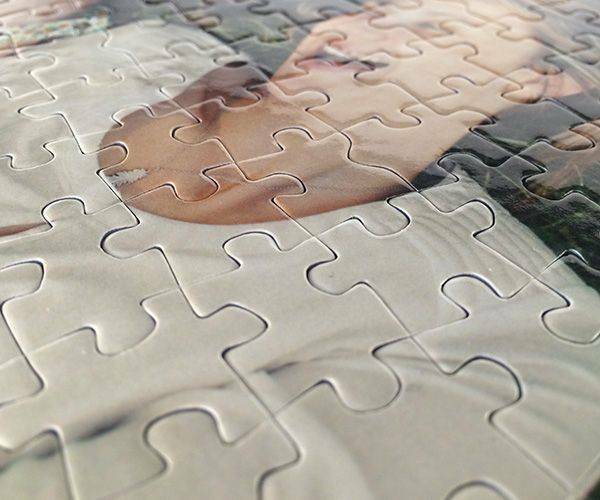 Once the pieces of 143 piece jigsaw have been put together there are really only a few options. It can be broken up and put back in the box, broken up and done again – and this will happen on many occasions – or it can be left made up and then turned into a wall hanging. 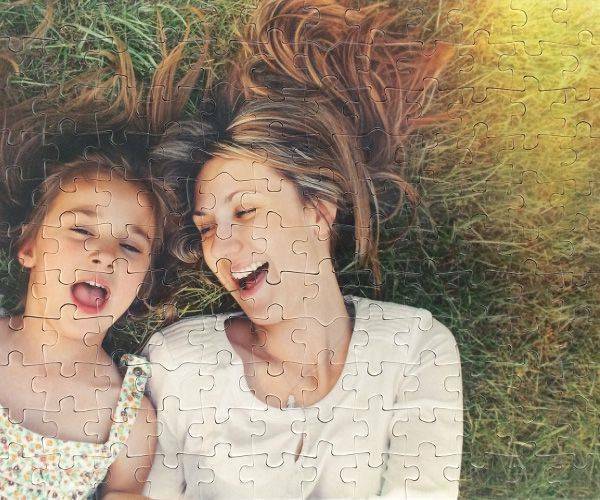 The 2 mm thick pieces fit tightly together and will be easy to stick down meaning that there is a great likeness of the subject, that just needs a frame and then can be put up on the wall. Not many people will have this sort of decoration and it is bound to be the centre of attention and a great talking point when you have visitors. As a child gets to around 6 or 7 they should be able to do 143 piece jigsaw with ease and it will be lovely to get them one with a picture of something of importance to them. It will be even more special to them if it turns out so well that it ends up on the wall for all to see. It is easy to place an order and to keep the child totally involved, they would be able to join in - as long as it is not meant to be a surprise for them. Letting them decide on the picture will ensure they are easy and waiting for it to arrive. 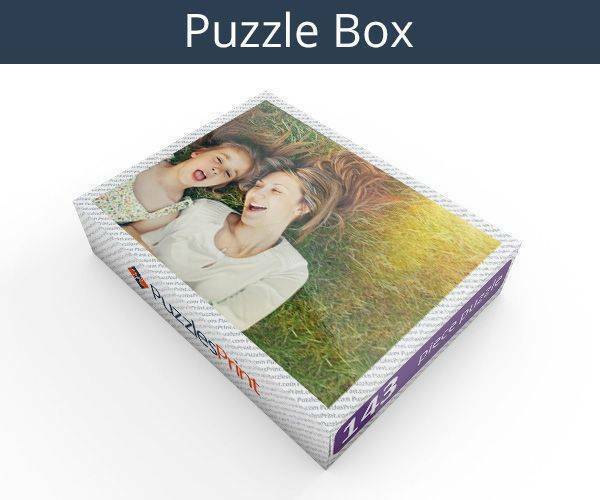 It will be hard for them to choose the one picture they want so you may find that you have to order more than one at a time. 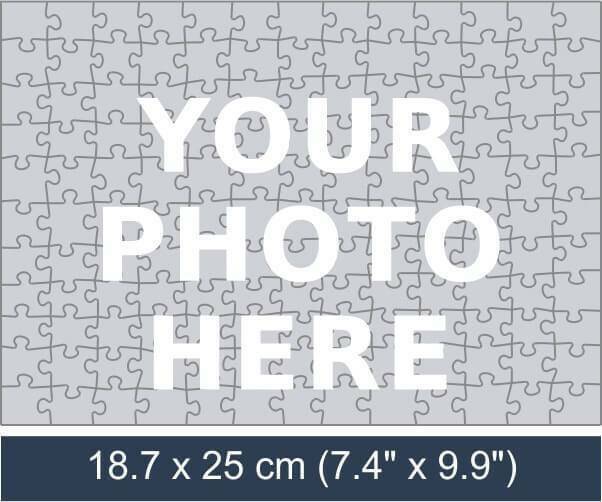 Postage will be included and you will find out the amount at the time that the order is placed, and a copy of the picture will appear on the lid.